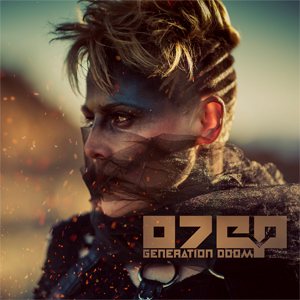 Groundbreaking art-rock performer, author and spoken word artist OTEP shook things up at SXSW this past weekend by dropping her latest artistic protest of mounting regressive political actions. OTEP took a further stand for equal rights with the world premiere of her empowering new music video for the heavy, rap-influenced track "Equal Rights Equal Lefts". Fans at Colours Couture's SXSW fashion showcase presented by 3Thirteen Entertainment Group this weekend were treated to the video (directed by Aleks Rastovic) for the first time during OTEP's headlining set. After the premiere, OTEP posted the video on her YouTube channel for the world to see. Watch it (warning, portions of this video are NSFW) on KNAC.COM now right HERE. The "Equal Rights Equal Lefts" video and track further solidify OTEP's diligent quest for equality: "I wrote this song to celebrate and empower all people to live their authentic selves, to live their truth, and to fight for their right to exist. Every day the LGBTQ community faces bigotry, bullying, ridicule and legislative attacks. We are not "the other". We are your friends, your family, your neighbors, your coworkers, your doctors, nurses, soldiers and fellow Americans. Simply put, this song and this video are about love and equality."